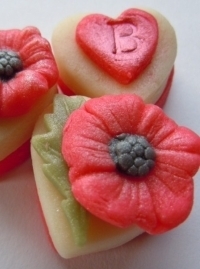 Deep red marzipan poppies decorate plain almond marzipan hearts for a delightful way to say "THANK YOU!" or "BEST WISHES". 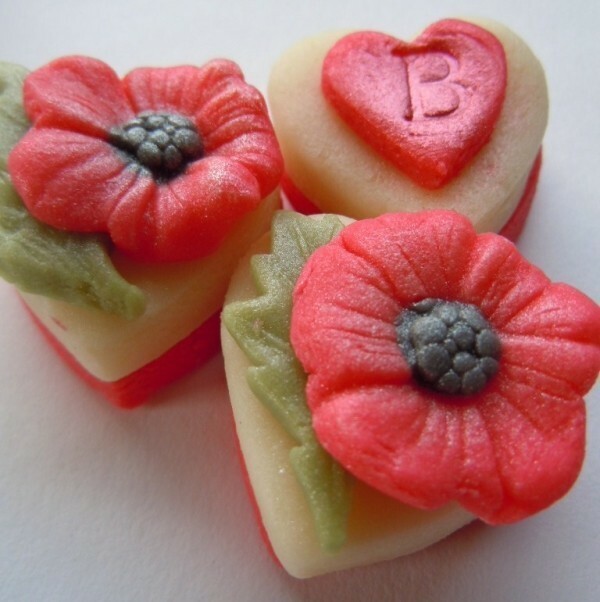 A lovely choice for a summer wedding favour or for any celebration.